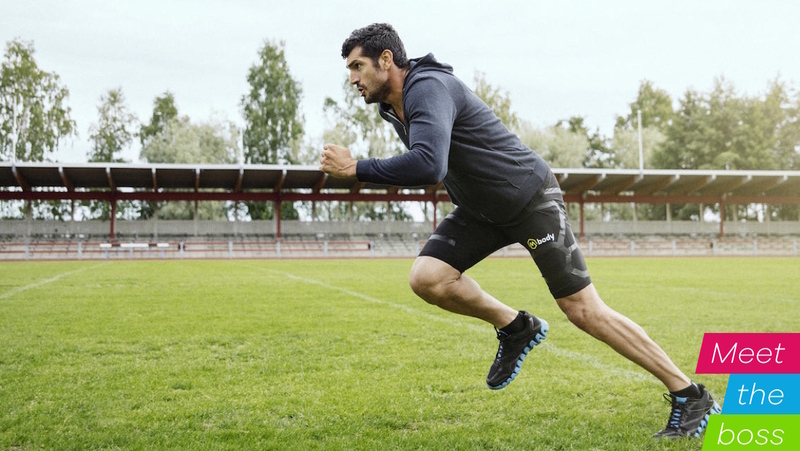 In 2014, Finnish company Myontec launched a Kickstarter campaign to raise funds for its Mbody Coach smart shorts, a more affordable version of its connected fitness apparel that uses electromyographic (EMG) technology to measure muscle load. Combined with heart rate and cadence data MBody wanted to help you get fitter, improve technique and even identify when you were at risk of an injury. It promised to pack in a real-time audio coach, too. Unfortunately, the campaign for the $500 garment failed to muster up the $99,000 it was hoping raise, enticing just 65 backers to part with their money. "We launched the Mbody mass production product in early 2014 and actually won the Sport & Fitness category at the Wearable Technology Innovations World Cup in Munich in January of that year," Myontec's CEO Janne Pylväs told us. "Based on our research we felt there could be a market on the consumer side and that's what we were trying to achieve with our crowdfunding campaign. Unfortunately the market wasn't ready for that. It's still doable, but the demand for our product came from training centres and mainly from team sports." The GPS-tracking kit has been used by a whole host of sports teams from Premier League football clubs to NFL Super Bowl champions. Catapult has now launched its Playertek smart vest that gives amateur footballers access to similar metrics including distance covered, sprint distance, sprints completed and sprint distance. You can also compare performances against Premier League players and compete against your own teammates. The sleeveless, base-layer shirt features two thin heart rate capture points embedded directly into the fabric to deliver real-time heart rate metrics. There's also a small sensor pod that sits into a pocket on the back collar to track motion and provide metrics on speed, distance and acceleration. The connected shirt will be integrated into Polar's Team Pro system, which is already being used by a host of NBA, NHL, MLB and NFL sides. Despite a failed Kickstarter campaign, the compression smart sleeve is still going on sale and uses electrocardiogram (ECG) technology to monitor heart rate activity. It also offers sleep tracking, workout intensity and also has sensors on board to monitor body temperature, air quality and UV rays. On the health front, it can measure stress levels and even help detect heart inflammation and coronary heart disease. Those sports teams are still making use of the more Pro version of the Mbody, which was already available prior to the failed crowdfunding campaign. Those high profile clients include La Liga football sides FC Barcelona and Espanyol, Portuguese football giants Sporting Lisbon, the British Cycling team and athletes at Red Bull. The key factor that's giving Myontec an upper hand over other smart sports apparel is the ability to measure surface EMG or electromyography. This is a technique of recording the electrical activity produced by muscles and is often used in the medical industry to detect neuromuscular diseases. It's a reason why along with its elite customers, Myontec is also getting a lot of interest from the healthcare industry and has customers from clinics making use of the wearable tech. These electrodes used to take EMG measurements are embedded into the smart compression shorts and it comes as no surprise that this wasn't an easy thing to do. "You won't find many companies measuring muscle activation because it is so difficult," he said. "Having the sensors embedded in the clothing was the big thing of us. We managed to solve the problem so there's no artifacts and the data is accurate. If you have been wearing compression shorts, it's very familiar experience wearing these. When you go for a run or play football you don't feel it." With the tech on board, Myontec is able to tap into a whole host of muscle-related metrics. That includes muscle load monitoring, which can help to optimise warm up routines whether that's ramping up the intensity or altering the duration. It can also look muscle balance to ensure physical strain is fairly divided between muscle groups to prevent injury. Even muscle ratio data can be recorded in real-time and and analysed after a training session to track the ratio of your quadriceps and hamstring to improve technique for sports like running and cycling. According to Pylväs one of the biggest ways it's being used by sports teams is as part of rehabilitation programmes to get players and athletes back to full fitness. "A coach can speed up the process just because they know which muscles to work and strengthen," Pylvas said. "We can show football teams muscle load, but also show threshold levels when you are changing from anaerobic or aerobic. Football teams are using it mostly for muscle load, because we have the ability to see whether cramp is coming. Muscles get tense and if you can see if the left hamstring is more tense than the right we are alerting the teams and the coaches and they can see that in real-time." But it's not just picking up whether a player is going to get cramp during a game or in training, it's promising to go much further than that and even wants to help prevent serious career threatening injuries. "We see who's had an ACL operation, but we can also see who's going to be next with a similar injury. That's something coaches, athletes and doctors don't even know." Myontec has decided to back away from building smart clothing for the masses for now and has its thoughts on why the connected garment industry hasn't exploded in the way that many thought it would. "Smart clothing is maybe not as strong as we thought it would be in the mainstream," he said. "We are seeing it's becoming stronger in healthcare and also in ergonomics. Elite sports comes first because they want to improve every second that they can. But take the example of a construction worker who could get an injury based on the way or position they are working on the site. We could help detect that injury before it happens. That information is valuable for the worker, employer and insurance company." Pylväs also has strong feelings about the wearable tech industry, particularly around the good and bad activity trackers have done to get more people to stay fit and healthy. "The activity trackers are useful when they are really motivating people to move," he explained. "We think that's a good thing but when you don't use the product anymore after six months that's alerting. People are not getting the real benefits. If data like steps is based on wrist movement, the data is not accurate. It needs to be as accurate as possible to really be beneficial." While Myontec's own wearable tech ambitions lie in elite sports, healthcare and even in the workplace, it's not doesn't rule out smart clothing still playing a major part in harvesting more data from the body. "I believe the forerunners will be in sports apparel," he said. "Particularly compression garments because they are already tight and if you are measuring bio-signals you need to be measuring from something very tight. When the technology is so invisible that you can wear it in normal running clothes or jogging clothes then it will truly take off."